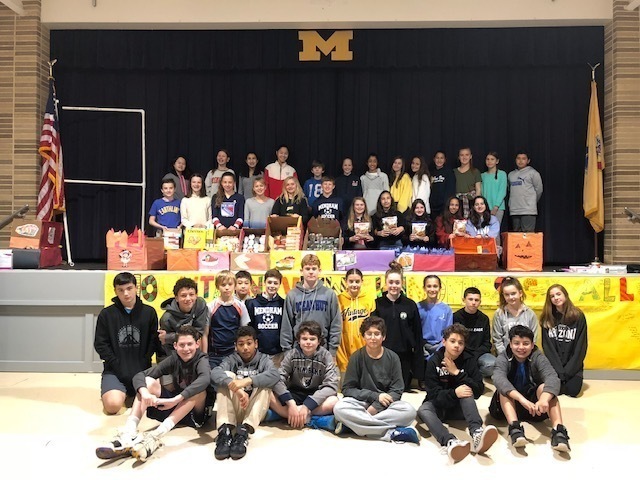 The Thanksgiving Food Drive hosted by the 7th grade class was a huge success! The collected food will be delivered to the Interfaith Food Pantry on November 6th to help families in Morris County enjoy a Thanksgiving feast. Wishing you a Happy Thanksgiving. IN SCIENCE, the 7th graders just completed a unit on “Characteristics of Life” and “Evolution”. In the second marking period, they will be classifying organisms, learning about the structure of prokaryotic and eukaryotic organisms, and starting cell processes. The students will be looking forward to a “CELL-ebration” at the end of the second marking period. IN LANGUAGE ARTS, the seventh graders are finishing up a unit about Short Stories and Greek Mythology. In this unit, students were learning the literary elements of fiction as well as the characteristics of Greek Mythology. One project the students really enjoyed was the “Love Myth” Project. For this project, the students worked together in groups to read a Greek Myth about love. Then, the students had a lot of fun working together to write a script and perform a re-enactment of the myths they read. The students are ending the unit by writing their own Greek Myth, allowing students to practice their creative writing skills while mimicking the genre they studied. In marking period 2, the students will be looking forward to the next unit which begins with nonfiction reading and argumentative writing.